Is it weird that not only do I change out my decorations with the Halloween I also change out my planters? Wait – don’t answer that. In my defense why wouldn’t you? 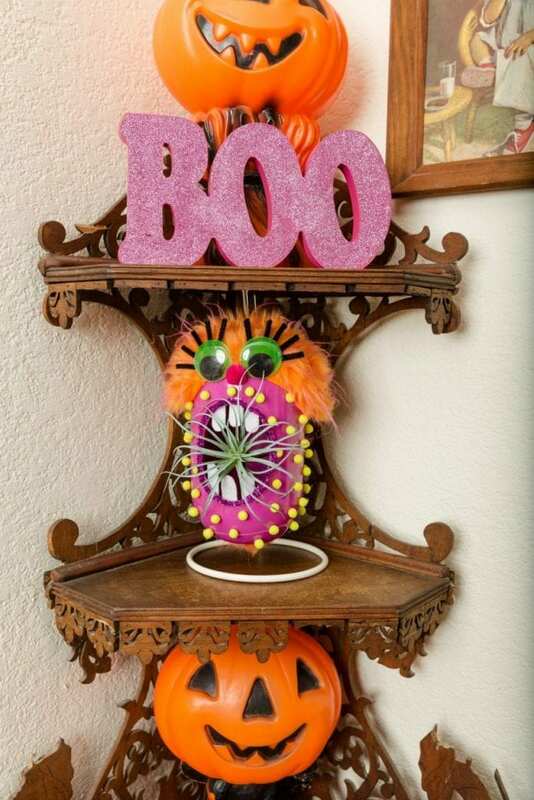 Plus, this one is so cute and so fun to make with kids. 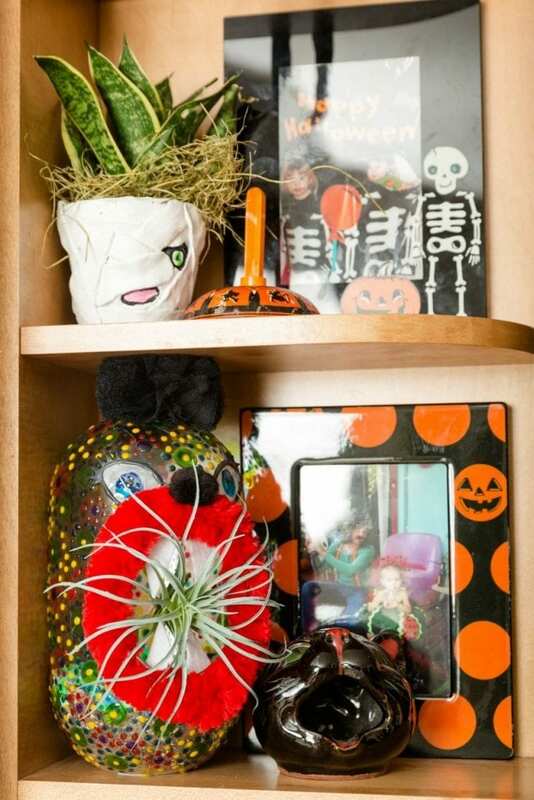 DIY planters are like any other Halloween craft. 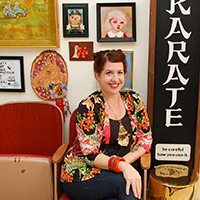 If you are going to the trouble to make Candy Corn Pompoms, Felt Monster Ornaments or Glowing Eyes Family Portraits why wouldn’t you make your own Halloween horticulture. 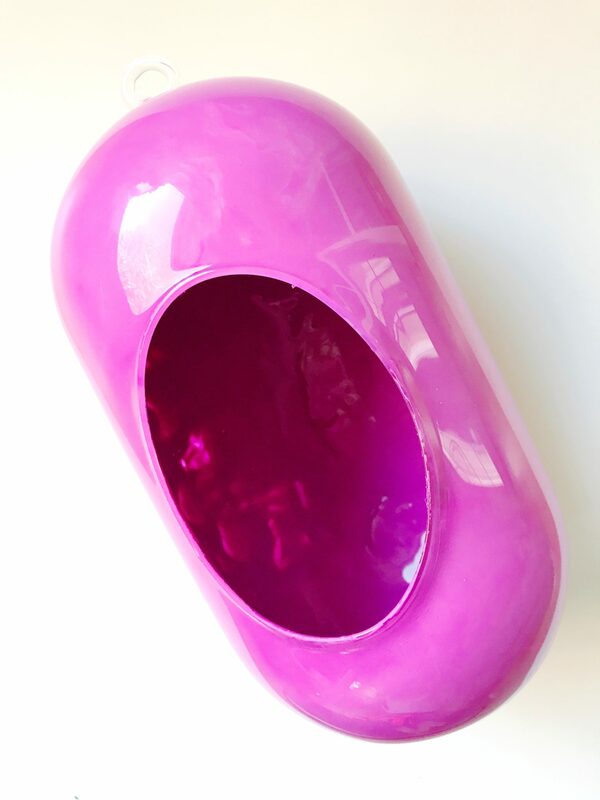 The easiest way to paint the planter is to dump paint inside the glass planter and swirl it around to coat. Two layers may be necessary to make the paint opaque. Make sure the paint is completely dry between coats. You can also paint the outside or use glass paint which will be more transparent. 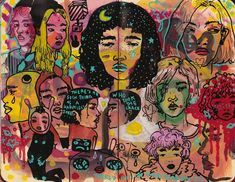 Keep reading, I have a transparent paint version to show you at the end! 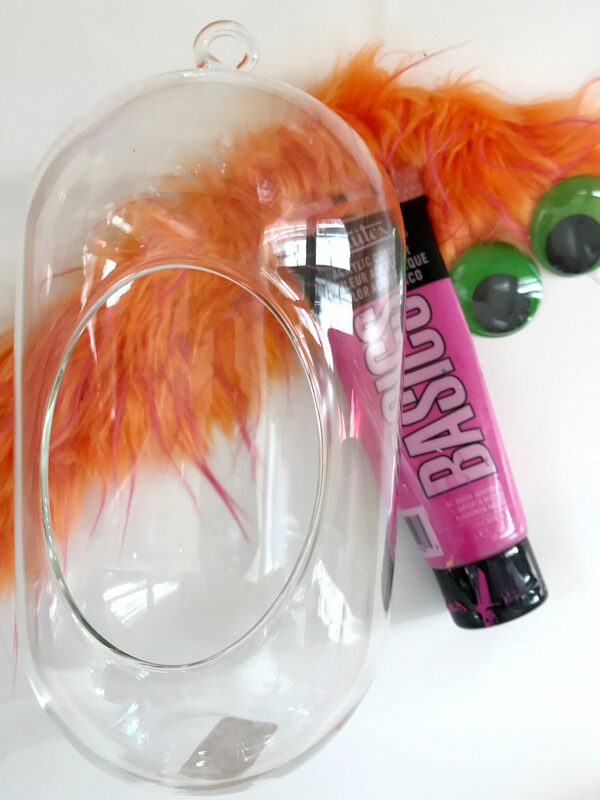 Using hot glue add fun fur for hair. 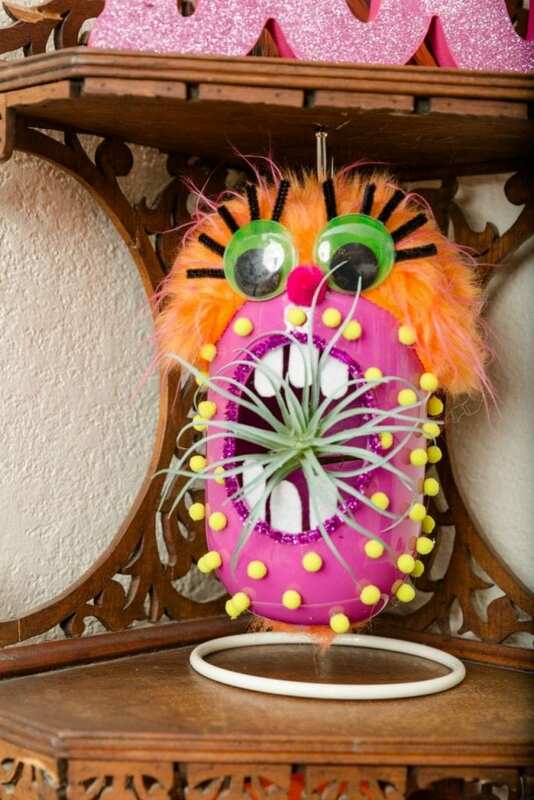 How you adorn your monster planter is completely up to you and your kids. I just happen to have this fun orange fur with pink tips on hand. How could I not add it? Using stiffened craft felt cut out teeth. Attach the teeth to the inside of the mouth of the planter. This is where you get to have fun adorning your planter. 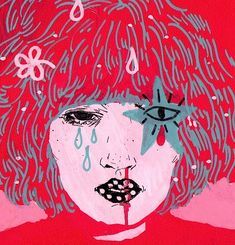 Add eyes, pompoms, pipe cleaner lashes – go crazy. I did my planter with kids in mind, but feel free to make yours a bit more spooky. You can put a live plant inside or a faux one. Try to guess which one this is? If you use a plant you will need to add dirt and all that good stuff. 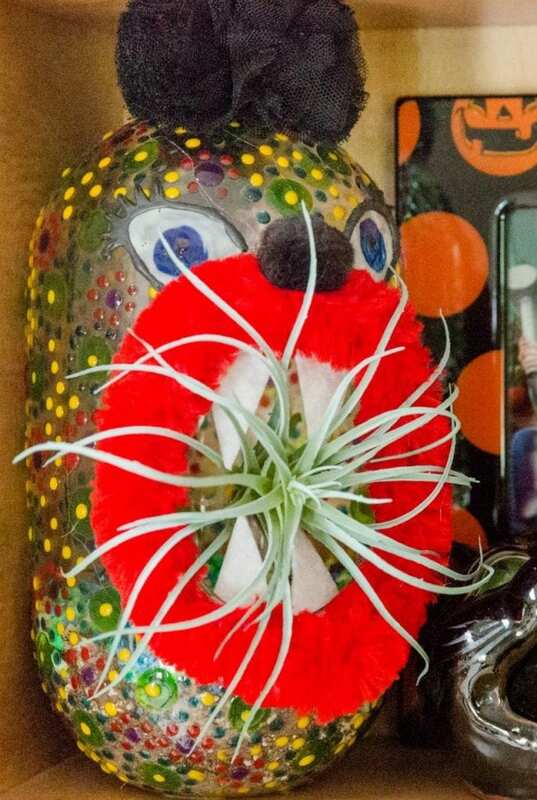 Air plants are perfect because they are easy to take care of and they stick out of the mouth in a creepy way. Another tip, hang your planter from a banana stand! 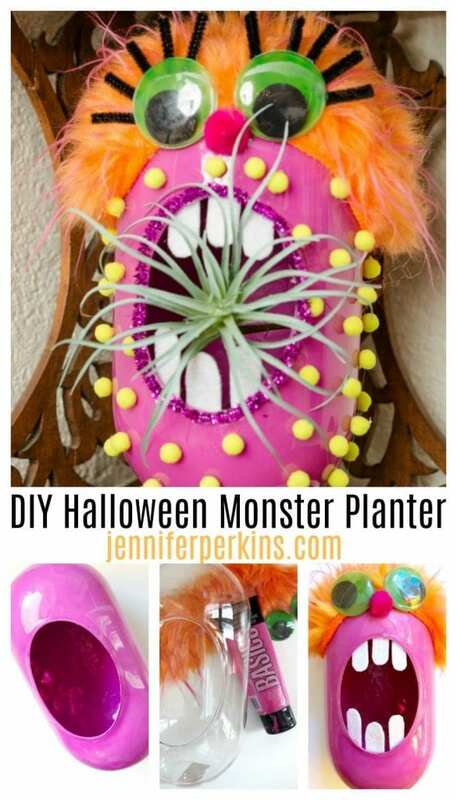 I actually did two versions of these DIY Monster planters. This one was made with glass paint so the design is more transparent. Which version do you like better? Opaque or transparent? Do you think I’ve lost my mind to make planters for Halloween? Oh just you wait, I’ve got more. 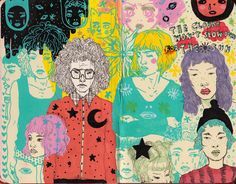 LOT’S MORE. Keep reading. 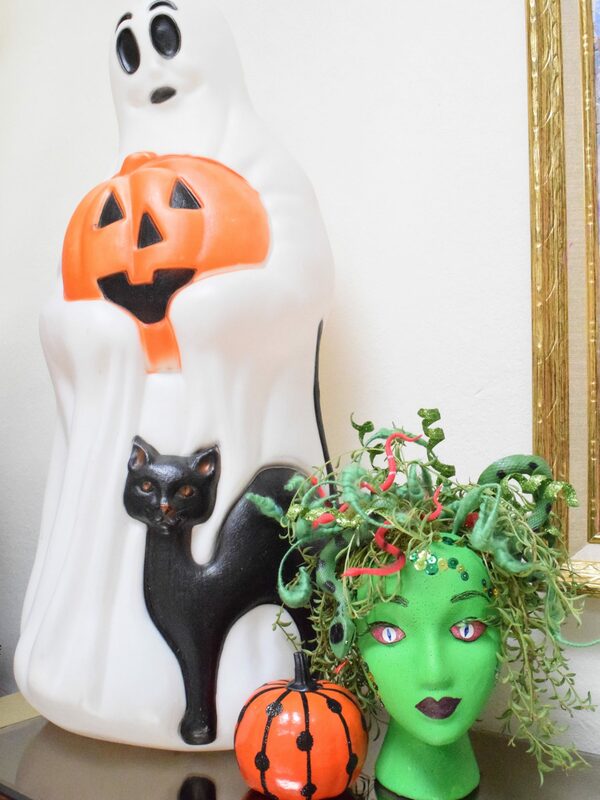 Medusa Head Planter – This planter was originally part of a Halloween Horticulture series for DIY Network. I also made a Dia de los Muertos version. 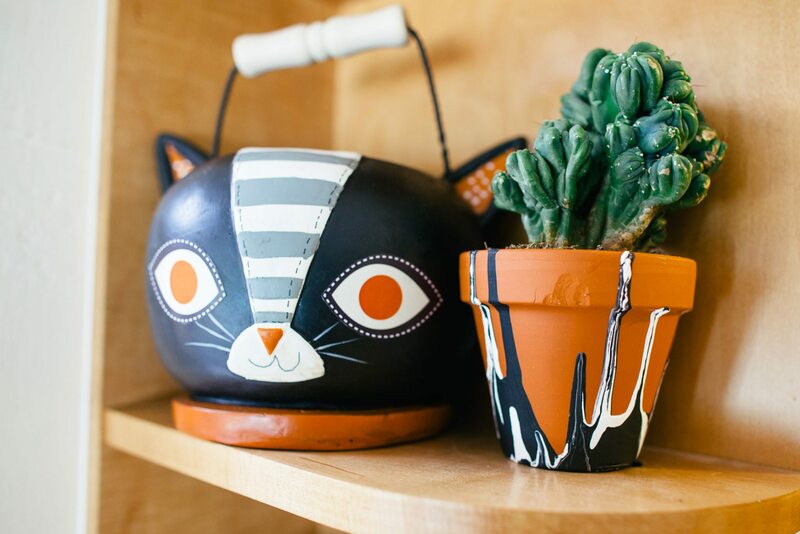 Halloween Drip Pots – There has never been an easier way to make a Halloween planter! 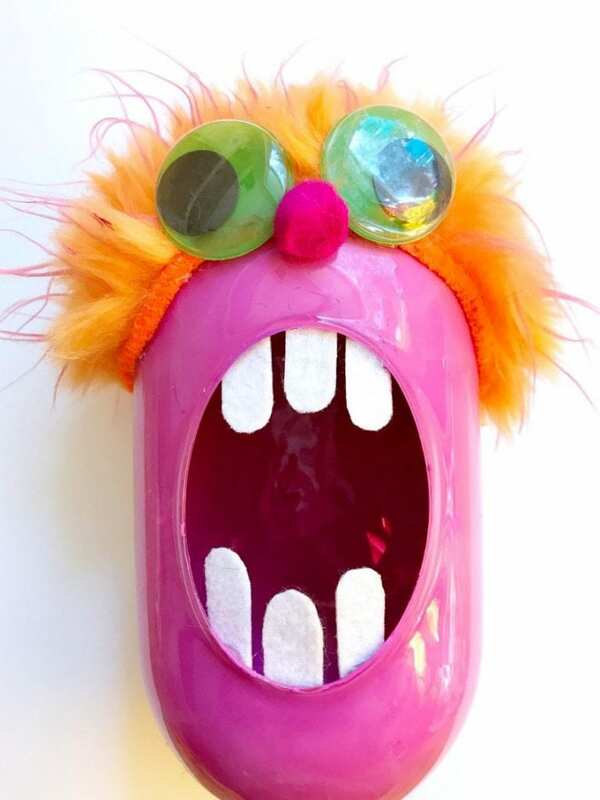 Air Dry Clay Monster Planters – Two for one special here – you get another view of the glass paint version of my monster planter and this cute little air dry mummy planter that was also part of my DIY Network Halloween Horticulture series. Posted October 16, 2017 & filed under Crafts, Halloween, Holidays, Plant Crafts.